The next Wonderland Low Sensory Exhibition Visits are open on 2 June 2018 and 15 July 2018. Source: ACMI. Australia’s museum for film, TV, games digital culture and art located in Melbourne, is offering an incredible experience for people with sensory sensitivities. 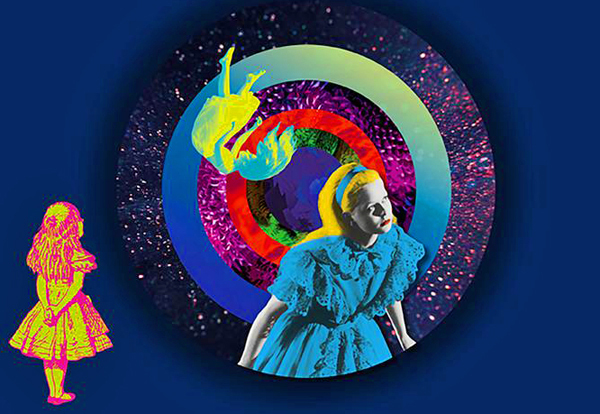 The Australian Centre for the Moving Image (ACMI) Wonderland Exhibition tells the magical story of Alice in Wonderland at its Low Sensory Exhibition Visits. Arieh Offman, Producer of ACMI’s Public Education and Industry Programs says the low sensory exhibition was born out of a heightened need to create inclusive experiences. “This has driven our vision to create a low-sensory environment where visitors with a range of sensory sensitivities can experience our amazing Wonderland exhibition,” she says. Additionally to this, Mr Offman says a number of staff have family members with ASD. Holding the first Wonderland Low Sensory Exhibition Visit last month, feedback from visitors has already been extremely positive. “Everything was great. It was a calm experience which allowed my child, who finds crowds, noise and bright lights overwhelming, to fully enjoy the exhibition,” a visitor says. To deliver an amazing exhibition, ACMI consulted with ASD advisory group AMAZE who audited both the ACMI building and the Wonderland exhibition for sensory ‘hot-spots’ to ensure the safety and comfort of visitors with sensory sensitivities. “This is extremely important, as a visitor’s experience begins when they first decide to come to ACMI – not just while they are in the exhibition,” Mr Offman says. The Low Sensory Exhibition Visits are run at a time that is less busy to reduce crowd numbers, with sound levels lowered, additional staff available to assist and a ‘Quiet Room’ if visitors begin to feel overwhelmed. ACMI also developed a social script to prepare people with ASD for their visit. “By creating the low sensory sessions we are standing by our commitment to ensure our museum is not only accessible to all of our visitors but also offers an environment that is sensitive and inclusive of their needs,” Mr Offman explains. With wheelchair access and Auslan interpreters available at its speeches and events, ACMI has more disability-friendly events coming up. “On 12 June, as part of our ACMI Conversations series we are featuring a panel discussion focussed on ‘Mainstreaming Disability and Appearance Diversity on Screen’, which has been co-produced with award-winning writer, speaker and activist Carly Findlay,” Mr Offman says. The talk will be Auslan interpreted live on the night and captioned on the ACMI YouTube channel. A Wonderland Descriptive Tour will be open on 14 July 2018 for people with vision impairments. The next installments of the Wonderland Low Sensory Exhibition Visits will be held on 2 June 2018 and 15 July 2018 from 10am-11am. For more information about the exhibition click here. Full ACMI event information available here.